Mix yogurt, cinnamon, and vanilla sugar in a bowl and set aside. In another mixing bowl, whisk together eggs and milk. Cut panettone into 2-cm/0.66-in. thick slices and soak each side in egg mixture. In a frying pan, melt butter over medium heat, and fry panettone for approx. 3 min. on each side, or until golden brown. 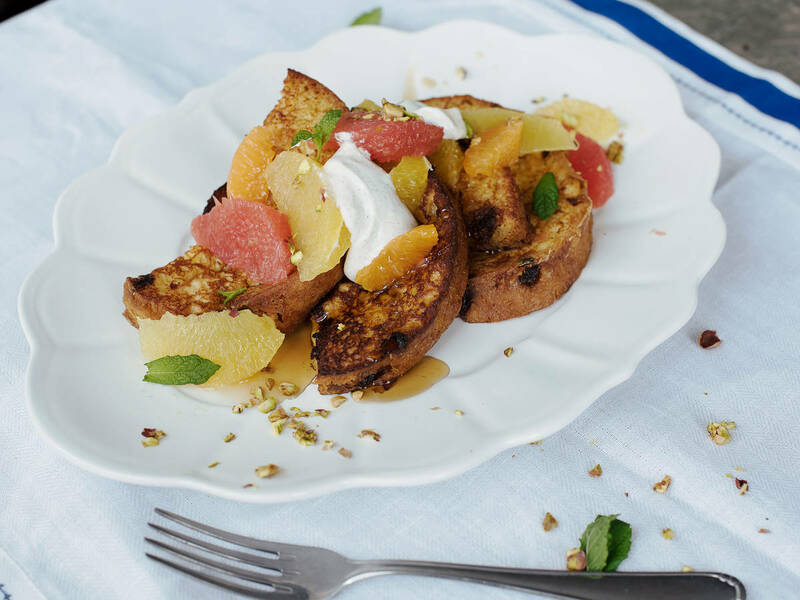 Serve French toast warm with yogurt and citrus fruits. Sprinkle with pistachios. Enjoy!